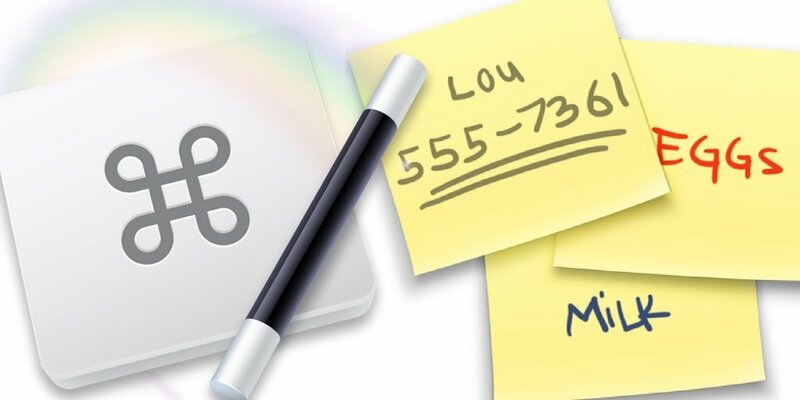 Even though Apple provides the familiar Stickies notes in OS X, they, like the proverbial yellow paper sticky notes, can become a wall of desktop clutter, and they are not always assessable when needed. 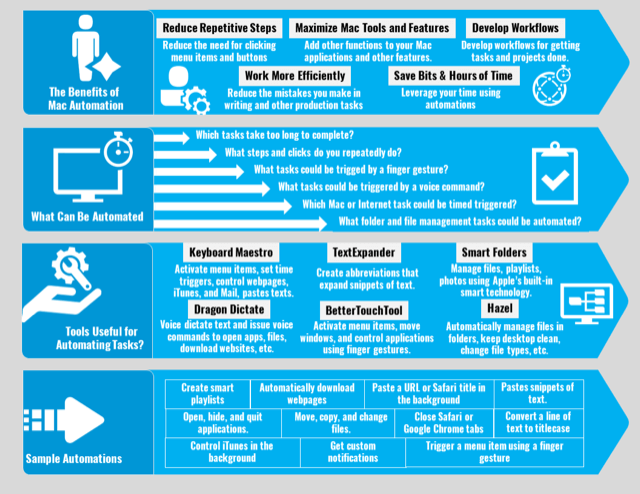 So instead of sticky notes, I use Keyboard Maestro’s Display Text actions. Display Text actions may not be as fancy of a name, or as colorful as Stickies, but KM’s solution is more useful and versatile than Stickies. With Display Text actions, you have more control over how text gets displayed, and they can be automated to appear without you using several clicks and mouse movements. Let’s dig and see what they can do. 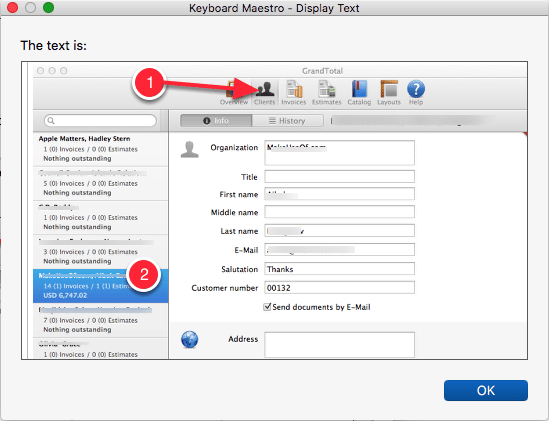 Before explaining how to set up Display Text actions in Keyboard Maestro, let’s check out a few use cases. For example: I use the screen capture application, ScreenFlow, for bigger and more complex screen recordings. However, because I don’t use the application on a regular basis, I need to review a few reminders for making effective recordings. This is where a Display Text action comes in. When I launch ScreenFlow, Keyboard Maestro automatically executes and displays a text window with a set of instructions for me to review. By using this action, I don’t have to manually open these reminders like I would with Stickies. The display of the window only displays when I most need it. Another example is of when I need to know the title of a URL. I use a Display Text action that presents that information also in a notification. More about this action in the next section of this article. I have other text displays that include letting me know if my Time Machine drive gets ejected; a display of a phone number and code for a weekly phone conference, and a notifications of song title and artist of a currently playing track in iTunes. To create a Display Text macro, you create a KM macro, and then insert the Display Text action in the macro editor. In the action, type text you want displayed. Display Text actions can displayed in a window, briefly displayed in a notification, or displayed as large text across the screen. 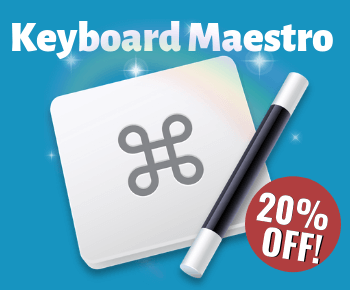 As with other Keyboard Maestro actions, you can trigger Display Text macros using a keyboard shortcut, an application trigger, a Time trigger, via a Macro Palette, or from the Status Menu in the menu bar. 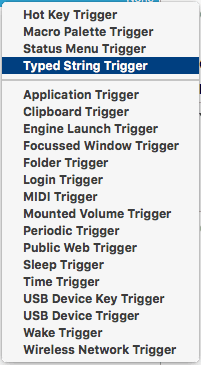 You basically use the trigger that is most convenient and easiest to remember. If you want to automate more, you can map a Display Text macro to another application like BetterTouchTool or Dragon Dictate. Some of the text displays I use are simply triggered using assigned voice commands. 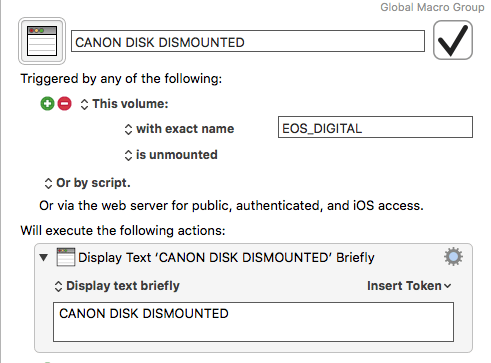 Pro Tip: You can also insert what are called Tokens into a text display, and Keyboard Maestro will grab that content and display it. For example, you can use the iTunes tokens to quickly get and display the name of currently playing iTunes track and artist. Sure, iTunes displays a notification of this information when a track is first played, but the above action can be triggered at any time and from within any application. 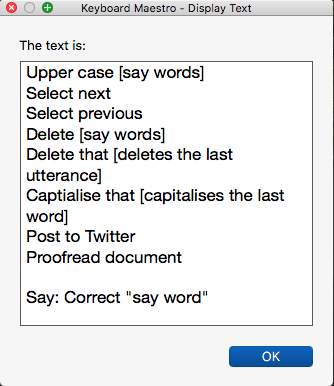 You can even trigger it with a string trigger while you’re typing. 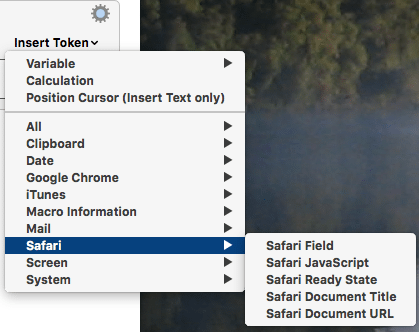 Until I wrote this article, I honestly didn’t know that Display Text actions can also display dropped in images, when the “Display text in window” feature is used. This opens the door for several other practical uses. This is a Display Text window, not Preview. 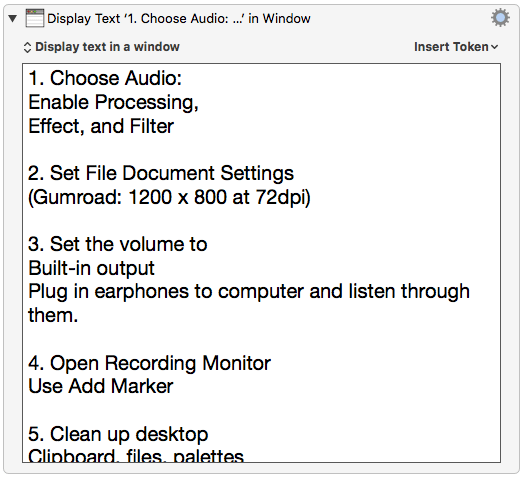 Display Text actions can also type or insert text, similar to how TextExpander and other text expansion programs work. 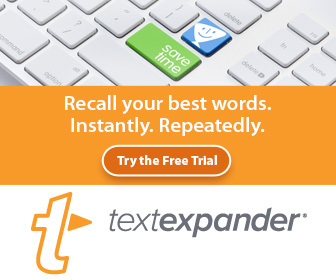 See my article comparing TextExpander and Keyboard Maestro for more about this. 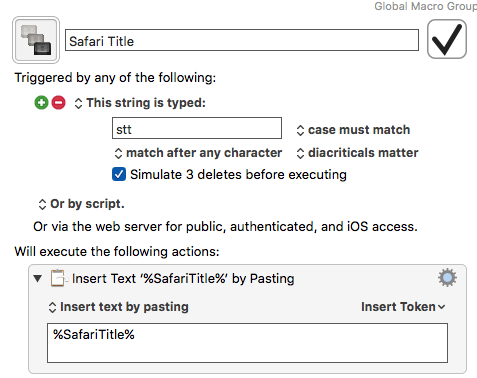 An example of KM inserting the title of the frontmost Safari page. The above Display Text action is triggered using a KM string trigger, which means I can execute it while typing. It inserts the title of the frontmost URL page. The Display Text actions are another good reason to start using Keyboard Maestro. The actions are easy to set up, and if you find yourself creating several displays, you can add and manage them in folder in KM. If you already use Display Text actions let me know how you’re using them. Also let me and my readers know what features are missing in Display Text actions that you would like to see added. I love the way you are using Text Display to help you remember shortcuts and gestures. I’m going to do that to. Awesome, Michael. Always great to get your feedback. Hi chabanu, Actually i love the way of your writing skill, everything was described briefly and understandable. Thanks for sharing ! Hi chabanu, Thanks for sharing ! Actually i love the way of your writing skill, everything was described briefly and understandable. Hi, thanks for your feedback. 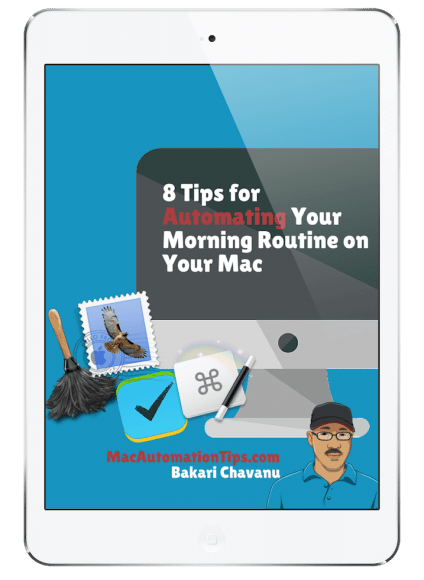 What other Mac automation tools are you using?